Bjorn and I welcomed our precious baby girl into the world on Monday, October 16th! It was one of the best days of our life! Now we are settling in as a family of 3 and we’re soaking up every possible second of this sweet newborn phase. 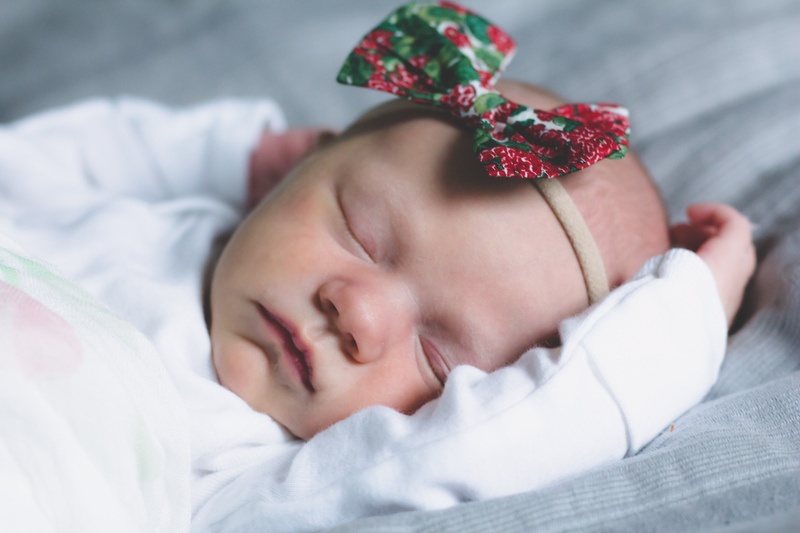 Solveig Brynn Olson (“Sophie” for short) has captured our hearts from the start – we love her so much we could burst! Since Solveig is a pretty unique name, people have been asking about it. I wanted to take the time today to tell you the story behind her name! 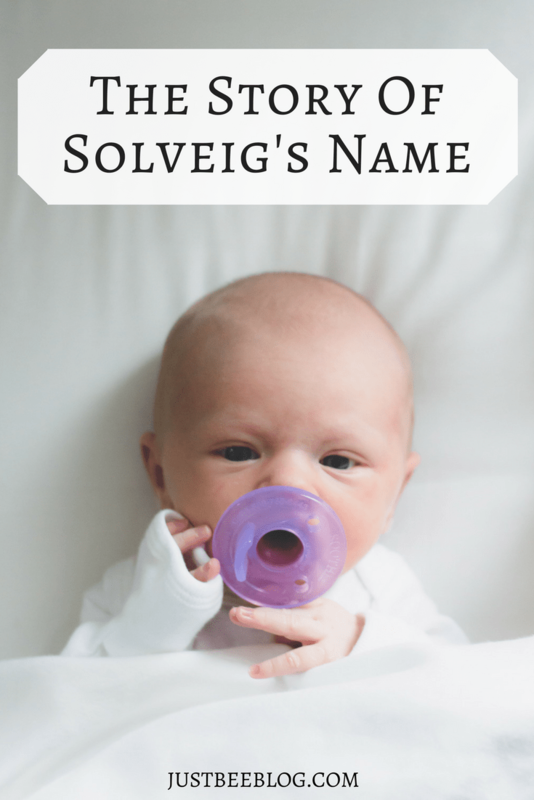 Solveig is pronounced SOL-vay – the “SOL” syllable rhymes with “goal.” The silent letter “g” at the end is the traditional spelling of this name so we stuck with that instead of going with a different phonetic spelling. We are calling her Sophie as a nickname for Solveig. One of the coolest things about our baby’s name is the fact that Bjorn and I both wanted to have a daughter called Sophie someday. We actually knew this about each other back when we were dating, before we were even engaged! Bjorn wanted a daughter someday named Solveig whom he would call Sophie, and I had always wanted (even had dreams about) our first daughter being called Sophie. Listen to “Solveig’s Song” here! Nickname-wise: I like how well the name Sophie works as a nickname for Solveig! It’s a lot like how the name William gets called Bill, Margaret gets called Meg, Charles gets called Chuck, James gets called Jim, or Amalia gets called Amy or Mollie. There is a lot of flexibility when it comes to nicknames and Sophie is the perfect somewhat shortened name for the more traditional name Solveig. There you have it! That’s how Solveig Brynn got her name. Do you have any fun explanations or reasons for why your parents gave you yours? I loved hearing the story behind Sophie’s post! That is so neat that you both knew you each wanted a Sophie before you were married. Andy and I talked about baby names on our second date and we’re pretty much decided on them when we do have kids. As far as my name goes, it has a pretty funny story… my parents and grandparents were visiting Las Vegas and saw a casino named Bally’s…. my mom kept mispronouncing it as Bailey’s and she decided then that Bailey would make a cute girl’s name! Oh my goodness, she just looks like the sweetest little girl! I love hearing the stories behind names and how much love and intentionality goes into it. My dad wanted to name me after his grandmother which I find so honoring and sweet and helps me feel even more connected to my dad and his heritage. Looking forward to more baby blog posts! Such a beautiful song for a beautiful baby. I just had to listen to both versions! This is such a fun post to read about Sophie’s name! I figured it was a more traditional Scandinavian name which is so fun considering Bjorn’s name! Congrats on your sweet girl. She is so beautiful!